Today, we're celebrating everyone's favorite female superhero, Wonder Woman! 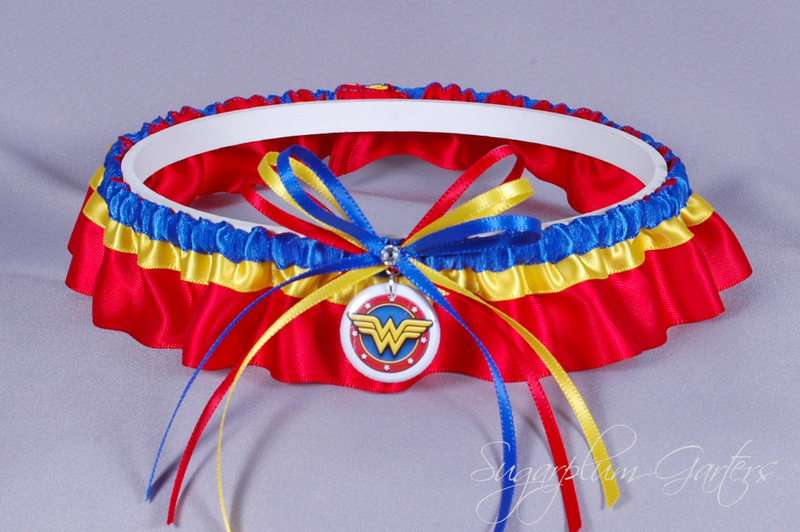 The garter design is the same as my Superman set, but it's a fan favorite and I think it's a perfect representation of Wonder Woman's costume. 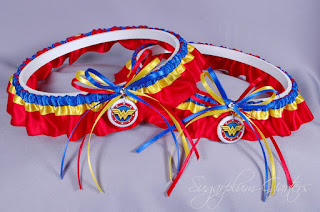 If you've purchased a Wonder Woman garter from Sugarplum Garters, I would love to see pictures! 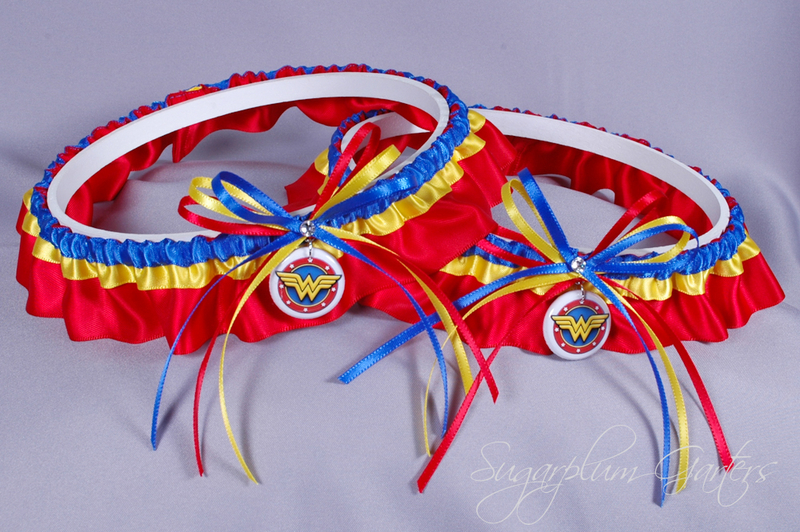 The Wonder Woman wedding garter set is available for purchase on my website here; the keepsake garter can also be purchased separately. Don't miss the final superhero garter set in my collection which will be featured tomorrow ~ it's my newest design and I'm so excited to unveil it!